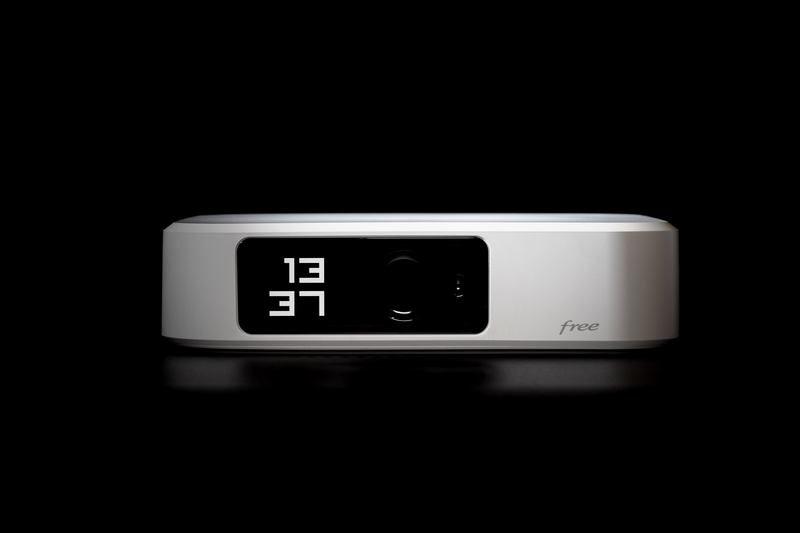 While the “gilets jaunes” were protesting about the cost of living in France, Free.fr had just launched a long-awaited successor to the Freebox Révolution modem-router and media player setup. The Freebox Révolution was a device symbolic of the highly-competitive telecommunications and Internet-service market that exists in France. 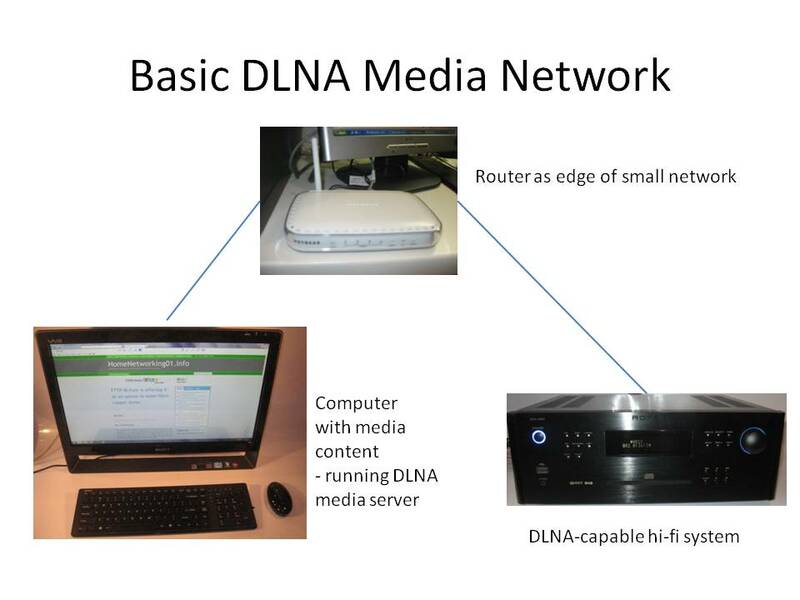 It is a xDSL modem-router with an Ethernet connection and a NAS that is also a DLNA-compliant media server. It works with a set-top media player that has an integrated PVR and Blu-Ray player. But over the years, these units took on new functionality that was extraordinary for carrier-provided equipment such as VPN endpoint and Apple AirPlay functionality. Infact I saw it as a benchmark for devices supplied by telcos and ISPs for Internet access when it came to functionality. Here, there are two systems – one called the Freebox Delta which is positioned at the premium end of the market, and the other called the Freebox One which is positioned as an entry-level offering. The Freebox Delta has a server unit which combines a modem-router and a NAS that is equivalent to a baseline 4-bay standalone NAS. The WAN (Internet) side can work with a 10Gb fibre connection, an xDSL connection or a 4G mobile broadband connection. But it is the first modem-router that can aggregate the bandwidth of an xDSL connection and a 4G mobile broadband connection for increased throughput. On the LAN side, there is a Wi-Fi 5 (802.11ac) connection working across three bands and implementing MU-MIMO wireless connectivity. It is in conjunction with an integral four-port Gigabit Ethernet switch. There is the ability to link to the Freebox Delta Player in another room using the FreePlugs which are Gigabit HomePlug AV2 adaptors that Free.fr provides but these are actually network adaptors that use the USB-C peripheral connection approach. The VoIP functionality that any “box” service offered by the French carriers provides has an RJ11 endpoint for a telephone as well as a DECT base station. There is a USB-C connection along with NFC support. But Free.fr are even having the Freebox Delta as part of a home-automation system by providing hardware and software support for home-automation hub functionality. It is thanks to Free’s partnership with the Sigfox smart-home software platform. This is based around Zigbee technology with Free.fr and others supplying “smart-home” devices complying with this technology. 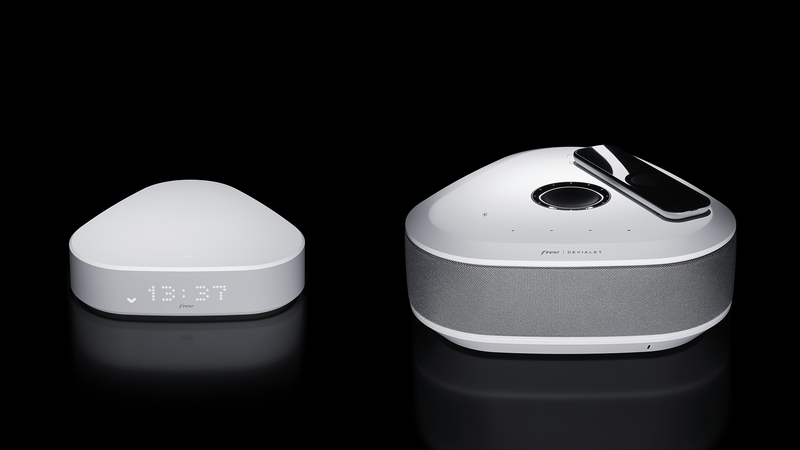 The Freebox Delta Player is effectively a connected speaker made by Devialet, a French hi-fi name of respect when it comes to speaker. But it is a soundbar that uses 6 drivers to yield effectively a 5.1 surround-sound experience. It works with a French-based voice-driven home assistant (OK Freebox) that handles basic commands but can work with Amazon Alexa which gives it access to the Amazon Alexa Skills library. This is achieved through a four-microphone array and is another way for a European company to effectively answer Silicon Valley in the field of voice-driven assistant platforms. It can yield pictures to the 4K HDR 10 standard using an HDMI 2.1 socket compliant with the HDCP 2.2 standard and supporting eARC audio transfer that allows for best use with 4K UHD TVs. There is also a DVB-T2 tuner for over-the-air digital TV. You can control the Freebox Delta Player using a wirelessly-charged touchscreen remote which charges on a Qi-compliant wireless charging plate integrated in this media player. Let’s not forget that this device is up-to-date by implementing USB-C peripheral connectivity for two peripherals. The Freebox Delta will cost EUR€480 to buy, with payment options of EUR€120 per month over 4 months, EUR€10 per month over 48 months or the full upfront price being paid. The service will cost at least EUR€49.99 per month. The Freebox One is an entry level single-piece multimedia player and modem-router unit. This will have a Gigabit Fibre and xDSL connectivity on the WAN (Internet) side and Wi-Fi 5 (802.11ac) and four Gigabit Ethernet ports on the LAN side. There will be the DECT VoIP base for the telephony function along with a DVB-T connection for digital TV. It can work with 4K HDR 10 via an HDMI 2.1 (HDCP 2.2 compliant) port for your 4K UHDTV. It has a front-panel display that is similar to the previous generation of Freebox systems. You can get this device for EUR€29.99 per month for first year, EUR€39.99 per month as a Freebox hardware-and-services package of the kind you get in France. With both Freebox systems, I would expect that Free.fr will regularly release new firmware that will add extra functionality to these devices over the years. When you get these “boxes”, you will find that there is more of an incentive to visit the “mis à jour” part of the user interface and frequently update their software. By offering the Freebox Delta for sale rather tied with a multiple-play service package, Free.fr wants to be able to sell this unit as a device you can use with other services. This means that they can put themselves on the same footing as AVM by being another Continental-European source of highly-capable always-updated consumer premises equipment for your home network. But what needs to happen is for the European consumer IT firms to create hardware and software platforms that can effectively answer what Silicon Valley has to offer. Who knows which European companies will end up as the “Airbus” or “Arianespace” of consumer and small-business IT?